Cancun is one of the most appropriate surrogacy destinations for gay men and gay couples. The city has become home to countless gay men who have traveled here to avail the highly developed Assisted Reproductive Technology. There are a number of reputed fertility centers that work towards the correction of fertility and conducts surrogacy programs. NewLife Mexico offers safe surrogacy programs in Cancun with highest success rates. We have been working rigorously for the gay communities as we believe every person has a Right to parenthood, irrespective of the person’s sexual orientation. Cancun has some of the expert embryologists and endocrinologists, who render their continuous efforts in the IVF and surrogacy program. NewLife Mexico dedicates its journey towards every human being who Aspire to become a parent. Surrogacy laws in Cancun allow gay surrogacy. Not many places in the world consider gay surrogacy to be legitimate. This beautiful part of the world forms one of the most desired surrogacy destinations for childless couples and singles. The journey of a surrogacy program is a combination of stress, emotions, and hope for any Aspiring parent. NewLife commits to provide transparent information on the fertility treatment and guide you towards a joyous parenthood. We take the opportunity of legitimate regulations in Cancun that allows gay surrogacy. 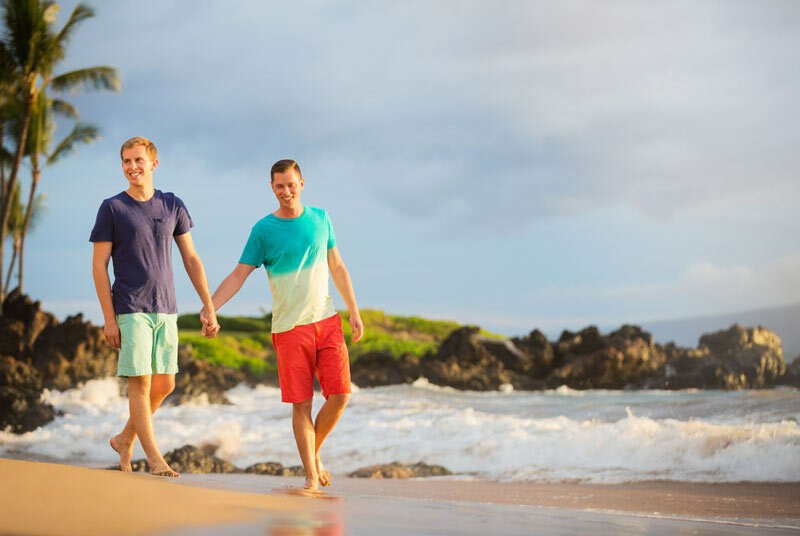 We conduct surrogacy programs for gay men around the world to have their genetically connected child. We understand the importance of having a family. It goes for aspiring gay parents as well. Our gay surrogacy programs are particularly designed to create happiness to the gay couple’s lives with minimum expenditure. NewLife Cancun is the ultimate surrogacy destination for gay men due to its years of experience in Assisted Reproductive Art programs. We are a leading surrogacy agency working in the city with a major global presence. Our doctors, laboratory experts, counselors and other operation staff commits to a successful surrogacy program for gay men who desire to become parents through it. Numerous couples and singles visit us from all around the world to avail world class IVF treatment and surrogacy programs. Our legal Consultants help in drafting all the required documentation for all the parties involved in a surrogacy program. The law involves the transfer of the birth certificate from the surrogate to the intended parents. This includes a change of the parent’s name as well. We provide all these legal assistance to our intended parents to make their journey easy and less stressful. We have English speaking staff for foreign national couples for an easy communication. Cancun has become one of the favourite gay surrogacy destinations due to its related flexible laws. Gay couples get every facility here that any other couple would have got. They are neither discriminated in the eyes of law or the surrogacy units operating in the City. NewLife holds pride in conducting numerous gay surrogacies with brilliant results. Gay couples or singles can go for gestational surrogacy in Cancun without any restriction. One or both of the parents can use their sperm in inseminating the surrogate’s eggs to form an embryo. They can also go for cryopreserved eggs and choose them to fertilize with their sperm. Thus, they are able to have a baby connecting to their gene. Gay surrogacy is affordable in Cancun as it does not involve much of a legal hazard here. One can avail affordable diagnosis and other preliminary tests to undertake surrogacy programs in this destination. As a matter of fact, charges for gay surrogacy is much affordable here than any European or American nations. Introduction to assisted reproduction techniques has made gay surrogacy easy and affordable in Cancun. Most surrogacy program offers travel and accommodation for the intended parents. NewLife Mexico offers a transparent quotation on gay surrogacy in Cancun. Our brochures disclose every aspect of the program and educate aspiring parents properly on the procedure. Every medical expense is included in the package that we provide. We have special discount offers for families, who really require it and are eligible as per our standard criteria. IVF is a prolonged process sometimes. It might take more than a few attempts for a successful embryo creation and pregnancy after the embryo transferred to the surrogate’s womb. As an expert in the field of fertility for years now, we promise to reduce this number of attempts as much as possible. Our record holds a brilliant reputation for conducting successful trials in fewer attempts. This saves time, money and energy for our clients. Gay couples get a chance to use their sperm for the fertilization process, and, thus, can have their genetically connected babies. We focus more on the commercial side of the surrogacy program to help intended parents save on their total expenditure related to such program. More people visit Cancun, Mexico for their surrogacy programs due to the low cost and high rate of success. Egg and sperm donation is also a popular technique used in surrogacy in Cancun. Gay men with healthy and fertile sperm can use theirs to fertilize the surrogate’s eggs. They also can hire egg donors as per their suitability and find someone to help them with the eggs. IVF centers in Cancun have empaneled egg donors and surrogate mothers working with them. This gives the couples a chance to choose from the list without a delay. IVF cost is also more reasonable here as compared to any other surrogacy destination. Apart from flexibilities in surrogacy laws and affordability, Cancun has the best climatic conditions to lure couples around the world to get their surrogacy programs done here. The prevailing weather of the city is best for the fertility treatment. Not only does Cancun offer cost benefits over the surrogacy charges, the developed techniques related to such programs have increased the success rates of each attempt or trial. Cancun is surely the dream destination for gay couples to have a baby here and enjoy all the benefits the city has to offer them related to their surrogacy program.